The Bulletboys returned to the Seattle area on November 16th for show at Tony V’s Garage in Everett. I last caught the Bulletboys in May of 2016 while they were out supporting their ‘Elefante’ release. This time around the Bulletboys have a new album out titled ‘From Out of the Skies’. 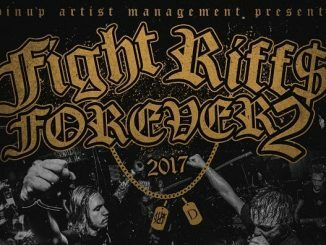 With songs like “D-Evil”, “From Out of the Skies” and “Sucker Punch”, fans got something new. Bits of classic Bulletboys rock, with a 311 and Foo Fighters infusion. I loved ‘Elefante’ and found myself really digging ‘From Out of the Skies’. As a long-time listener of the Bulletboys music, I never know what to expect on a new release. They are a band that I’ve learned to listen to with an open mind and no expectations. It always works out well! Marq Torien always manages to take listeners on a new journey with the music. One thing I always look forward to are the slower songs with acoustic guitars. They let his vocals become vulnerable as the emotional and deep lyrics flow out one word at a time. Long gone is the insanity of the 80’s version of the Bulletboys, replaced by the essence of passing time. Don’t get me wrong, the band still puts on a fun and high energy show. Fans will always get their hits too! The Bulletboys are a band that I feel continue to evolve as each release comes out. They are not stuck to the same old sound that gets stale and boring overtime. There’s something new and interesting to behold. This is no different during their live shows either! I always enjoy seeing them live. With the infusion of the new music and the hits of the past, fans get a great mix. The show at Tony V’s Garage was everything I hoped it would be. For me personally and the fans in attendance, it was a great night out. The show opened with a dark metal band called Cryptamnesia that I met at Headbangers Con just the week before. Next up, a favorite local hard rock band of mine, Sin Circus. The final opener was Garden of Eden with their classic hard rock sound. All of these bands put on a great set that had fans ready to rock the final part of the evening away with the Bulletboys. The Bulletboys hit the stage and immediately started rocking the fans. The audience, with arms held high, cheered away. The band picked songs from ‘From Out of the Skies’, ‘Elefante’, ‘Behind the Orange Curtain’ and ‘Bulletboys’. They wrapped the show up with one of their biggest hits as a band “Smooth Up In Ya”. It’s always a great time out with the Bulletboys. 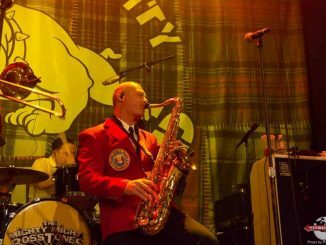 Mighty Mighty Bosstones & Los Kung Fu Monkeys Live!